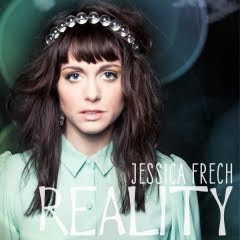 Jessica Frech, the YouTube sensation with more than 8 million views on her channel, debuts her first single, “Reality” today on iTunes. The quirky, pop-folk track proves to be a dream come true for this coed singer-songwriter who turned to Kickstarter.com to fund her debut project. Jessica’s satirical songs, covers and parodies have captured fans around the globe since the release of “People of Wal-Mart,” which was recognized by Break.com as the #1 viral video for 2011. Her videos have landed Jessica features on FOX News, Billboard, MSNBC, G4 “Attack of the Show” and “Late Night with Jimmy Fallon.” In support of her debut single, Jessica will be appearing on “Good Day New York,” ABC News “What’s the Buzz,” Billboard Online, SiriusXM’s Cosmo Magazine & Alternative Comedy Channel and Fox News Live. It seems that Jessica has found the attention of more than just the national media scene as celebrity Kirstie Alley tweeted Jessica Frech’s parody of Katy Perry to her one million followers. Marketing departments are tuning in as well as Hyundai connected with Jessica to write and star in two commercials this holiday season. Also, Pepto-Bismol engaged Jessica for a song for its upcoming campaign. These benchmarks are tell-tale signs that 2012 is going to be an exciting year for this Zooey Deschanel meets Norah Jones star. In addition, fans are continuing to fund to her Kickstarter campaign as Jessica prepares for a full length album and is beginning to plan summer tour dates. To preview and purchase “Reality,” visit http://e2ma.net/go/11616592070/4171514/113317976/1565/goto:http://www.jessicamusic.com/.